**no matter what calendar you use. In love! One of the most eye opening teachings have come after people learn to count to three! 3 days and 3 nights as Messiah himself said "this is the sign I will give you, the sign of the prophet Yonah"... Knowing that Messiah did not died on Friday and did not Resurrected on Sunday is a way to be free from the Catholic doctrines still held by Protestants world wide. Many even use the same Equinox formula that the Catholic Church uses. But the 3 days and 3 night formula is still the sign. Also the picture that eating ham on this day screams evil in the eyes of YHWH Elohim defiling the temples of the Ruach haKodesh(Holy Spirit) on a day He must be exalted. Our instructions in Lev 23 have no details of the Seder itself and all that has been added. That also with Messiah and His covenant meal adds to celebrating the Pesach in remembrance of Him. We have cleaned our seder from much of the man made traditions. Taking the shank of lamb and the egg clears much of the Rabbinical influence of the what many make a longer night than usual. 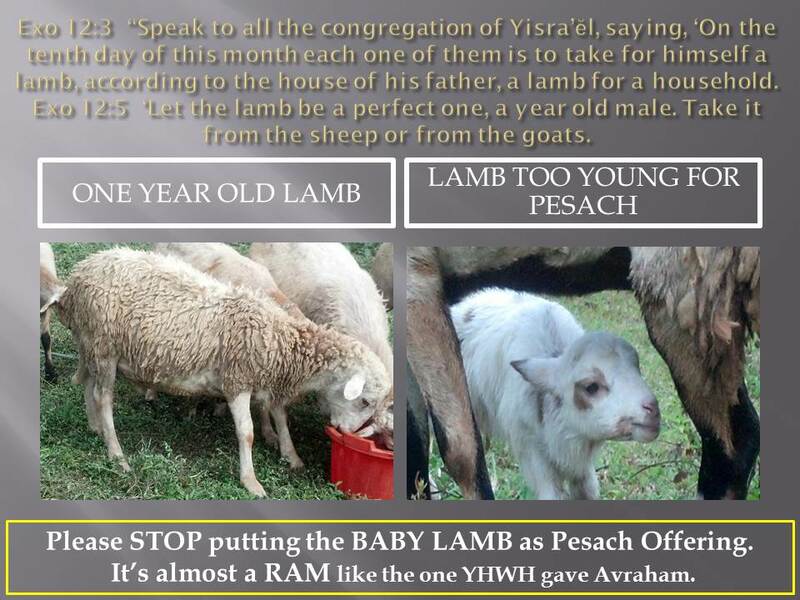 Kids are exhausted during the night we want to enjoy with our "Lamb of Elohim". 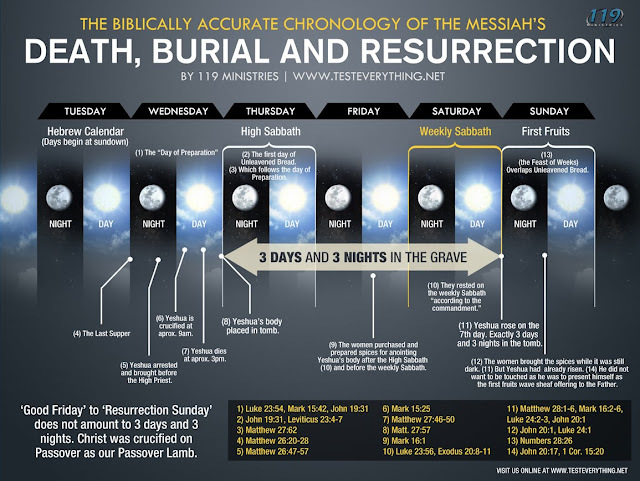 The week celebration is called Unleavened Bread and not Easter, or Passover. Pesach/Passover is just the first day of the week long feast of Unleavened Bread. The "Spring Cleaning" tradition in America is in many ways what the Jews do when cleaning their homes of leaven although some go to extreme materialistic thinking instead of "Cleaning ourselves from the leaven". Leaven is also compared to Sin and "Teachings and Commandments of Men", these men in the time of Yahshua were called "Pharisees and Sadducees" and HE told us to BEWARE of their teachings. Picture this! 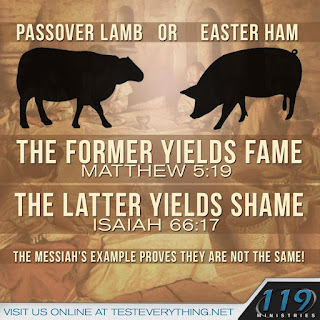 If Abba YHWH told them to have a lamb and put the blood of the lamb in the doorpost and lintel of their homes and to eat the Pesach Lamb. How would He feel when people celebrate on another date and instead of lamb they have pig?... Meditate on this! How He felt when Antiochus IV Epiphanes defiled His Temple. 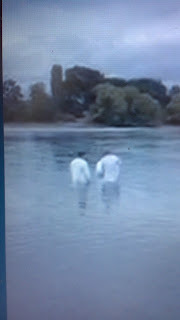 Now let's examine our "log in our eye", What in this celebration He did not commanded? How much is "leaven from Pharisees and Sadducees"? 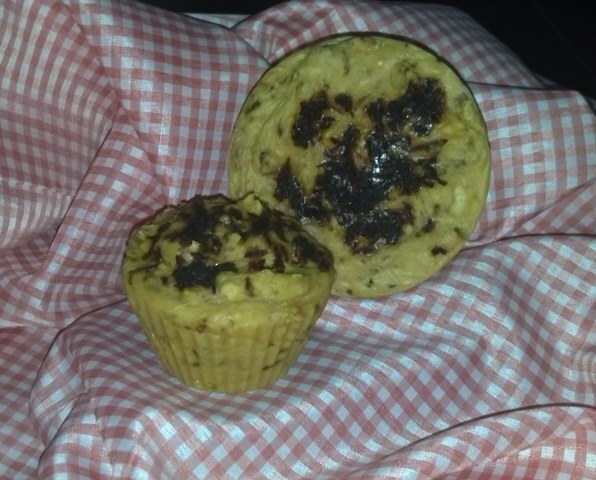 Just to be mindful that we must remove leaven in us just as we remove leaven in our homes. Down to the last bit. Meditate as you listen to the following song. Now we can see our leaven. The one inherited by our religious preference as well as our sin(1 John 3:4). Our lawlessness, our flesh, our selfishness, prejudice,... Below is another view of what those days were about, culture and how it would speak to those still in the tradition. You can see by those who rejected the Gospel of Messiah their attitude for staying in the "tradition of the elders" that had accused Messiah and their followers for not doing and saying what the tradition said to do. Christianity also complains to eat meat or lamb in their "Holy Week" but they can freely eat bread and drink fruit of the vine that represents Messiah's body. We still can not understand that. Lamb is a part of the commandment and REPRESENTS Messiah. The Bread also REPRESENTS His body. But you can eat one but not the other? We will obey Elohim rather than man! Luk 22:15-20 And He said to them, “With desire I have desired to eat this Passover with you before My suffering, for I say to you, I shall certainly not eat of it again until it is filled in the reign of Elohim.” And taking the cup, giving thanks, He said, “Take this and divide it among yourselves, for I say to you, I shall certainly not drink of the fruit of the vine until the reign of Elohim comes.” And taking bread, giving thanks, He broke it and gave it to them, saying, “This is My body which is given for you, do this in remembrance of Me.” Likewise the cup also, after supper, saying, “This cup is the renewed covenant in My blood which is shed for you. 1Co 5:7-13 Therefore cleanse out the old leaven, so that you are a new lump, as you are unleavened. For also Messiah our Passover was offered for us. So then let us observe the festival, not with old leaven, nor with the leaven of evil and wickedness, but with the unleavened bread of sincerity and truth. I wrote to you in my letter not to keep company with those who whore. And I certainly did not mean with those of this world who whore, or with the greedy of gain, or swindlers, or idolaters, since then you would need to go out of the world. But now I have written to you not to keep company with anyone called ‘a brother,’ if he is one who whores, or greedy of gain, or an idolater, or a reviler, or a drunkard, or a swindler – not even to eat with such a one. For what have I to do with judging outsiders? Do you not judge those who are inside? But Elohim judges those who are outside. And put away the wicked one from among you! May Messiah Yahshua, Our Offering! be the center of our feast. May we learn to cleanse our leaven and live in His Testimony the Torah of YHWH. May we be unleavened as He is unleavened. Shalom! We have been searching for what we can do to supplement the lack of offerings we are receiving and be able to help the widows, the fatherless and the needy. 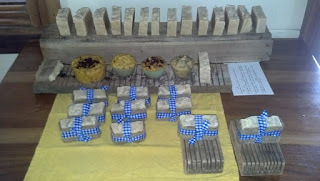 One of the latest ideas is soap making. We found a company in San Jose that sells some of the ingredients and we add some from the Hebrew farm. Tammy has researched much online and we are using some of what we grow as ingredients in some of them. These soaps not only save us money but also could serve as a way to bless others. Another idea is that for every soap we sell we can give one away to a local family. The skin is the largest organ in the body and pharmaceutical produced soaps have many chemicals that we can not even mention including triclosan a poison in some antibacterial soaps. 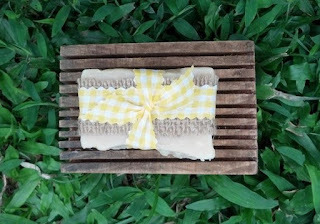 Sheep milk soap is rich with butter fat and proteins that nourish the skin, as well as almost double the vitamins and minerals of other milk soaps. In sheep’s milk, the milk and cream do not separate, so that soap made from sheep milk contains all of the rich, moisturizing properties of the milk and cream combined. 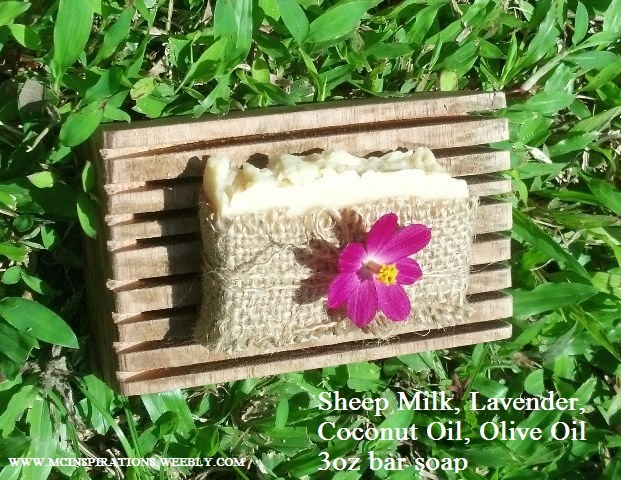 Sheep milk soap also contains lactic acid that acts as a natural, gentle exfoliant, leaving skin soft and glowing, feeling revitalized. It is particularly soothing for those with dry or sensitive skin. There are many tutorials on YouTube depending on the method you will use. We are using hot process since we can use and sell quicker. Drying time is the biggest difference. 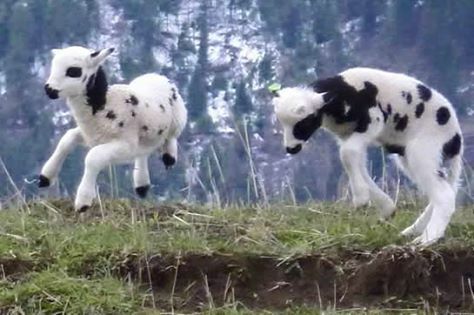 Like goat milk, sheep’s milk is naturally more nutritious and healthy than cow’s milk—but even better, for it contains significantly higher levels of protein, calcium, Vitamins A, B, D,and E, zinc, magnesium, and phosphorous than goat’s milk. Although sheep milk is higher in fat than cow or goat milk, these are mainly heart healthy unsaturated fats that have no negative impact on cholesterol. Sheep’s milk also contains the highest concentration of conjugated linoleic acid (CLA) found in any type of milk. CLA is known to have cancer-fighting properties. 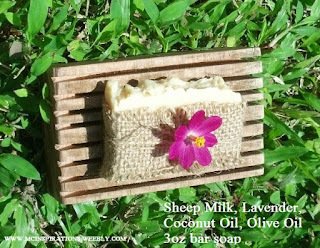 All of our soaps have either sheep milk or cow's milk. That increases the quality and few use sheep milk which is a very expensive ingredient. It adds moisturizers and minerals to our skin. All soaps moisturizing bars come between 3.5 to 4 oz. Sheep's milk costs around $5 a pint. And the world's most expensive cheese comes from them. You can also order your own combination as our operation is small. Along with essential oils we are trying to use ingredients we have on the farm, like, Aloe Vera, Turmeric, Lemon, Rosemary, Coconut. Some of the essential oils are Lemongrass, Lavender, Peppermint... Also Shea Butter in some of them. Soon we will try to add cocoa and coffee grown here and locally. 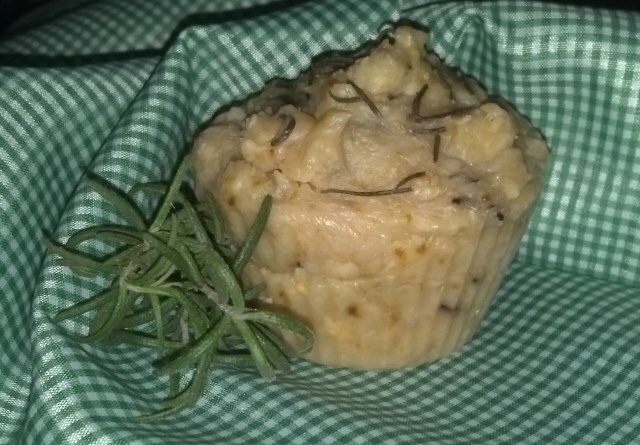 We are also going to include some Loofah Sponge for a scrubby accent also grown locally. No artificial colors or scents are used also. Luxurious rich Sheep Milk along with moisturizing shea butter, aloe, coconut and olive oils are especially soothing for cracked and sore diabetic feet, the sensitive skin of chemotherapy patients and the delicate skin of babies and the elderly. Also they could help people with atopic eczema as well as adults suffering from psoriasis and other skin diseases as well as acne, allergies and other skin conditions. She made me be a witness! LOL! If you are interested in helping us serve others with your donation or purchase please email tammysdams@yahoo.com or click the donation buttons on this page. You can also write her if you have questions regarding soap making, prayer requests, Torah observancy or just to say hello. We will see as we try them in ourselves first. 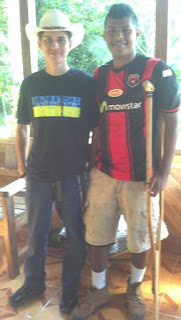 Shalom Ubrachot from our family in South Costa Rica! Deu 6:3-6 “And you shall hear, O Yisra’ĕl, and shall guard to do, that it might be well with you, and that you increase greatly as יהוה Elohim of your fathers has spoken to you, in a land flowing with milk and honey. “Hear, O Yisra’ĕl: יהוה our Elohim, יהוה is one! “And you shall love יהוה your Elohim with all your heart, and with all your being, and with all your might. “And these Words which I am commanding you today shall be in your heart, and you shall impress them upon your children, and shall speak of them when you sit in your house, and when you walk by the way, and when you lie down, and when you rise up, and shall bind them as a sign on your hand, and they shall be as frontlets between your eyes. “And you shall write them on the doorposts of your house and on your gates. Sweet Faith Like Potato Leaves! Here in the Homestead we had to learn what we could grow to meet our nutritional requirement that we could eat raw, live and green. We had success with mustard greens, wild cilantro and few lettuce and spinach but not enough. The best we had was green beans but not something we could eat often as we could not eat it every day. Now we are thankful of our Creator YHWH for the fruit of the earth. Stores here in our area of Valle de la Estrella, Limon are far and the produce truck can not come up to the farm so we miss it most of the time. They carry few things mostly cabbage and some lettuce but none is organic. We can't wait for orange season to make some salads with cashews we grow also. But sweet potato greens as food may be getting more affection soon, thanks to a new analysis published in the journal HortScience that found the leaves have 3 times more vitamin B6, 5 times more vitamin C, and almost 10 times more riboflavin than actual sweet potatoes. Nutritionally, this makes the greens similar to spinach, but sweet potato leaves have less oxalic acid, which gives some greens like spinach and chard a sharper taste. 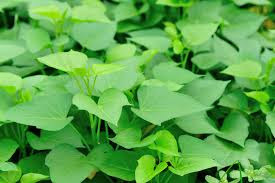 According to research, the nutritional value of sweet potato leaves ranking first in vegetables, heat is very low, only 30 calories per 100 grams, is the best weight loss ingredients; particularly rich in plant fiber can actuate gastrointestinal motility, help defecation, but also the best choice for physicians in improving the symptoms of constipation. Bring a large pot of water to a rolling boil. Trim off any thick stems from greens. Add to boiling water and blanch for 60 seconds, then immediately transfer greens to a bowl filled with ice water to stop the cooking. Drain. Heat oil in a large pan or wok over medium heat. Add shallots, garlic, ginger, turmeric, chili, and lemongrass and stir until fragrant, 1 to 2 minutes. Stir in soy sauce. Add coconut cream and water (or coconut milk) and bring to a simmer. 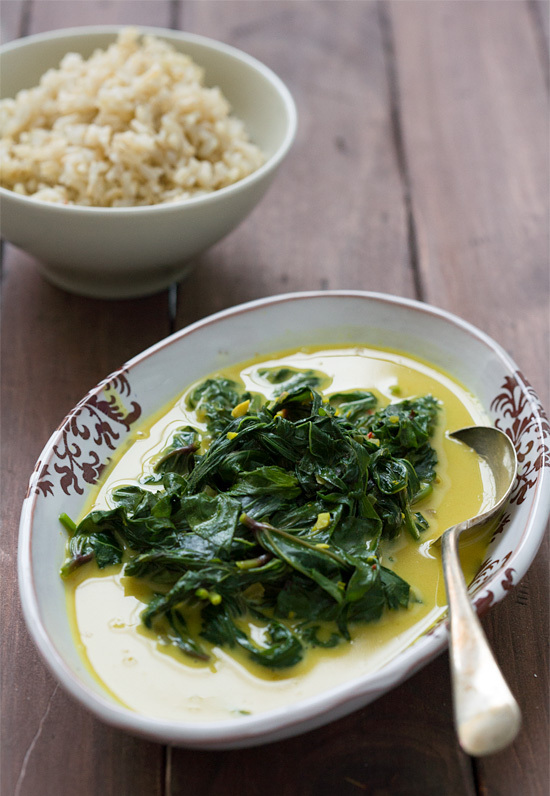 Add blanched greens and return to a boil; reduce heat to low and simmer for 2 minutes. Add sugar and season with salt and pepper to taste. Spoon into bowls and serve with rice. 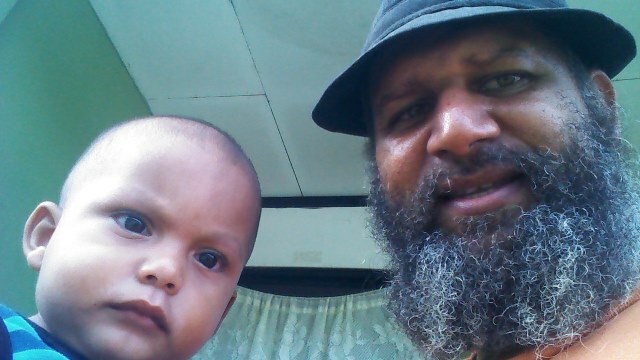 Praise YHWH Donaichel is doing well after so many sickness and complications. Glad we were able to see him take his first steps and say his first words. Sadly after our visa came through and car issues we have come to a financial mountain we can only Trust YHWH to provide and be able to afford to go down more often to see and minister to these families. those who know us know we do not do pleasure travel, buy wants unless Abba blesses through a designated gift. All we want to do is blessed others and not having wealth. For us people are the harvest and their soul is the treasure. Help us continue calling others to repentance - teshuvah. Mat 6:19-21 “Do not lay up for yourselves treasures on earth, where moth and rust destroy and where thieves break in and steal, but lay up for yourselves treasures in heaven, where neither moth nor rust destroys and where thieves do not break in and steal. “For where your treasure is, there your heart shall be also. 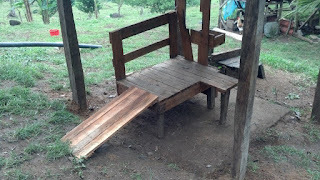 The rainy season last year was so intense we could not get out and lasted all year. This made us choose to be online more often, we met a family from Chile who wanted to learn more about the Hebrew Roots of the Faith of Messiah. 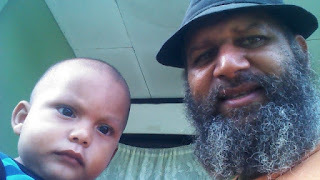 We took brother Yonathan in little steps and sent him an E-missions Outreach device he was able to absorb 50 teachings. He did not know there was a fellowship around them. Here is our skype view of his immersion all the way from Chile! HalleluYAH! Acts 2:38 And Kĕpha said to them, “Repent, and let each one of you be immersed in the Name of יהושע Messiah for the forgiveness of sins. And you shall receive the gift of the Set-apart Spirit. We all work together to be able to bless others. We made a milking stand for the sheep. Now Tammy can milk the sheep and collect wool. The sheep are in a routine, they know our voice when we call and even when we are not there they look for the feed or bananas we bring getting on it. Although sheep milk and cheese is highly prices we have been blessed that we can get something many can't afford. Trying to learn to live like this from the land and what gives us comes with much work. Praise Abba. Psa_43:3 Send forth Your light and Your truth! Let them lead me, Let them bring me to Your set-apart mountain And to Your dwelling places. The sheep of our abba Ya'acov are returning to the land. We are ready to work with the inheritance promised to us. HalleluYAH!! Please Pray for your servant family. Offerings have been low since last year. Car issues and now the immigration closing payment has taken all we had saved. Our USA bank is also changing the settings we left for our banking and they have increased their fees. Now we are once again praying that Abba YHWH multiplies what we have. Our son Christopher has learn much from mechanics and horse training and care which we hope he can continue learning to help us some. We continue translating from English to Spanish for international ministries which now our son Christian works as tech and graphic design. We have done it by faith alone and hope one day it will come back as a blessing. Raising support is not easy in this journey specially when we can't travel to do so. Please consider us and the poor , widows and orphans we serve. May YHWH bless you more. Shalom Ubrachot! Also we have heard that YHWH hates His Appointed Times - Moedim by some seeking to establish names for themselves or a reason to do away with them. Does He really?